Who says a cell booster has to be ugly? 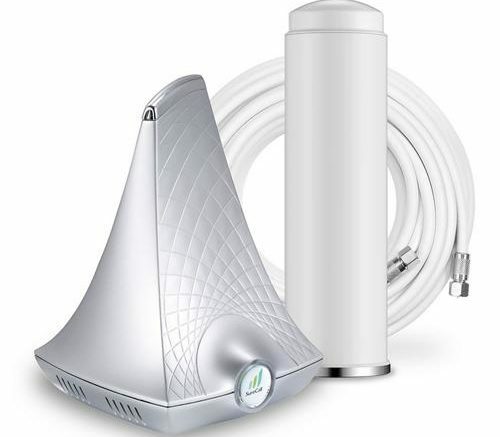 The SureCall Flare is one of the most powerful home and office cellular signal boosters out there, and it’s the first one you might actually put in the living room without complaints from anyone else. It looks like modern sculpture and uses a new antenna design that gives maximum power, covering up to 2,500 square feet. It’s the latest in SureCall’s growing list of boosters, and it’s available now. If you’re curious, I kicked the tires and did some instrumented testing which I present to you in the form of this PDF review, complete with instrumented testing. I personally found the Flare to be a very competent booster that’s going to a permanent place in my office. It’s handsome, capable, and even gives me good LTE boost for when the Wi-Fi is clogged. What more could you ask?